The Marlboro Music School and Festival represents the pinnacle of the study of great chamber music masterpieces. 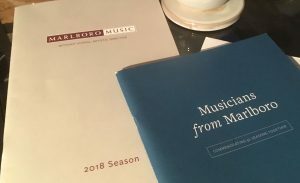 Having grown up in a chamber music household, I had known about Marlboro from an early age, but had never actually visited until last weekend. The experience did not disappoint: Marlboro truly lives up to its reputation as the ultimate laboratory of chamber music alchemy. To say that the musical tradition established at Marlboro since its founding in 1951 is “special” falls far short of the true legacy. Marlboro is possibly the most coveted opportunity to make chamber music in the world. An invitation to participate confers upon a young musician the imprimatur of some of the most sophisticated musical artists in the world. The Marlboro alumni list reads like a who’s-who of famous musicians from the decades of the festival’s existence. Over 68 years, the faculty has been made up of some of the most esteemed performers of the day paired with the cream of the crop of rising new talent. 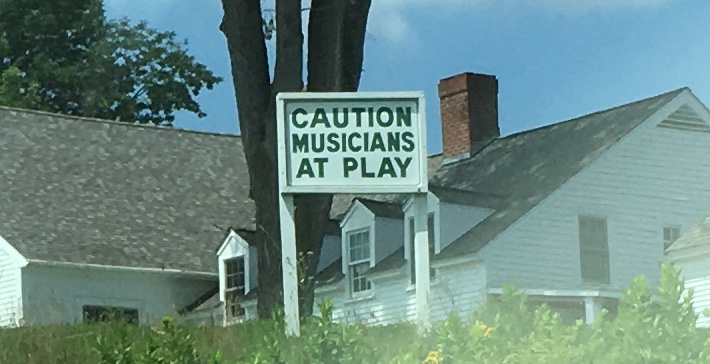 While famous musicians and young future stars can be heard at other summer programs, a unique educational model, based on high-minded ideals that have been at the core of the festival from inception, set Marlboro apart. At Marlboro there are no traditional lessons, no regular orchestra, no concerto contest, nor any solo playing to speak of. The focus is almost completely on chamber music collaborations between faculty artists and the invitees, who are selected to participate by a rigorous and highly competitive audition process. The traditional teacher/student hierarchy is set aside in favor of the goal of democratic egalitarianism. At Marlboro faculty and junior colleagues all dine and socialize together and even the artistic director seems to be just one among the collective. Teaching in such an environment comes down to modeling in the playing and especially in the approach to organizing a group around an interpretation of a work. Many of the faculty are themselves Marlboro alumni, giving the festival a sense of continuity. At Marlboro groups are formed with no clear indication of whether or not a piece will wind up on a concert. The expectation of serious study of each work is implicit and groups are given ample time to learn each piece with no particular pressure to perform. Some groups don’t “click” and are disbanded after a period of time, with new groups formed. Other groups find deeply satisfying pathways through pieces and work to polish their readings for performances. After three weeks of study, successful groups are assembled into appropriate concert programs. Over the following weekends a large and devoted audience descends repeatedly upon the tiny rural campus to hear concerts delivered with excitement, polish and exquisite attention to detail. It is something of a paradox that a festival centered around music rather than personalities so unabashedly celebrates the great artists that have helped make it the most influential organization of its kind; the public spaces are adorned with wonderful candid photographs of legendary performers who have been a part of the Marlboro faculty and alumni over the years. It is no accident that Marlboro has served as the original and enduring inspiration and catalyst for numerous chamber music festivals that now occur each year all over the US and abroad. The reverence in which the music is held begets more reverence and the Marlboro festival can be credited with having helped lay the groundwork for modern audiences’ interest in chamber music, as well as with the development of chamber music skills as a core component of serious professional-level instrumental training. In a real sense all of us who admire and seek to promote chamber music owe an enormous debt to the aspirations of the Marlboro founders and to the inspired continuation of the Marlboro ideals over the years. Guarneri Hall audiences can hope to be among the beneficiaries as we host Marlboro alumni in coming years.